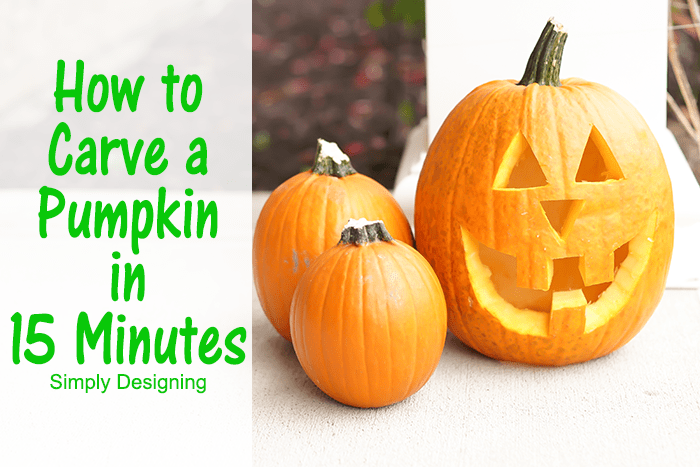 Make this fun DIY Halloween decorations. 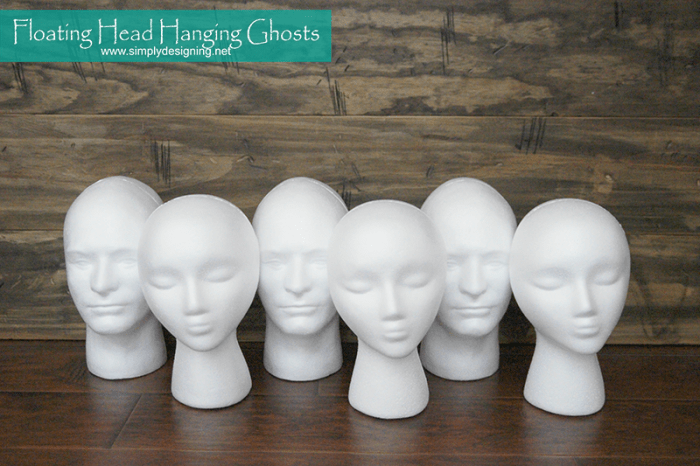 Super creepy Floating Head Hanging Ghosts are perfect for any Halloween decor! I am part of the Make It Fun Team® with FloraCraft® and I thrilled that they helped make this post possible today. I love my job. It is truly the most fun job I have ever had! The other day I received a big huge package from FloraCraft® and as soon as I opened it up, I started giggling! Being part of the Make It Fun Team®, I was challenged to create something this month using the contents of the box I was sent. Inside this box were 6. Foam. Heads. I was so excited to begin my challenge and knew right away what I wanted to create! 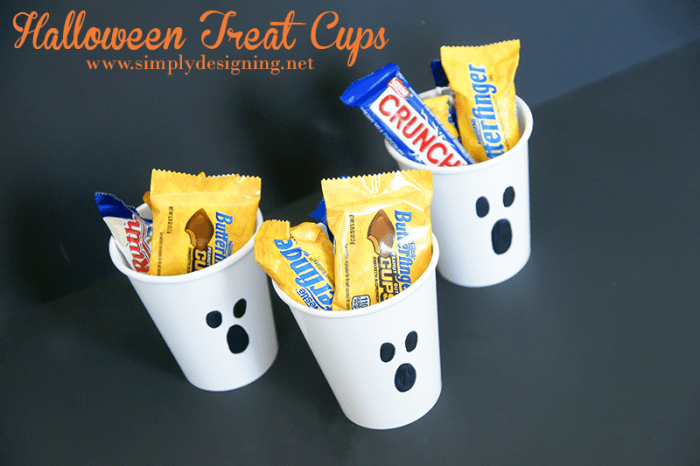 How could I not create a creepy spooky Halloween post using these!? And I really do love how they turned out! I am so excited to decorate for Halloween! 1. 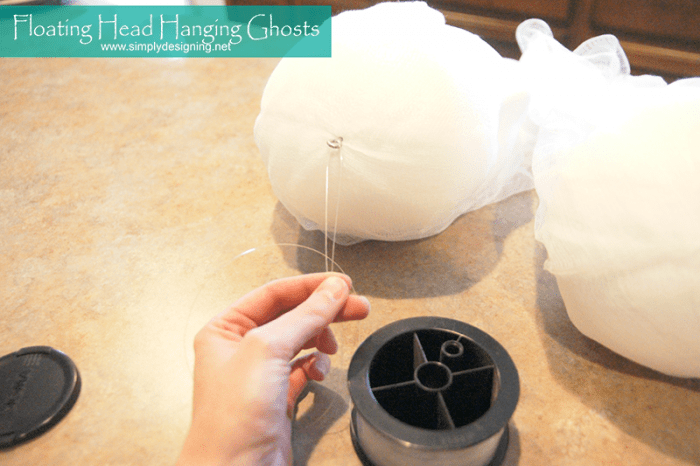 Cut your cheesecloth so that you have two equal portions per ghost. I cut mine into relatively similarly sized sections, but no need to be exact. 2. 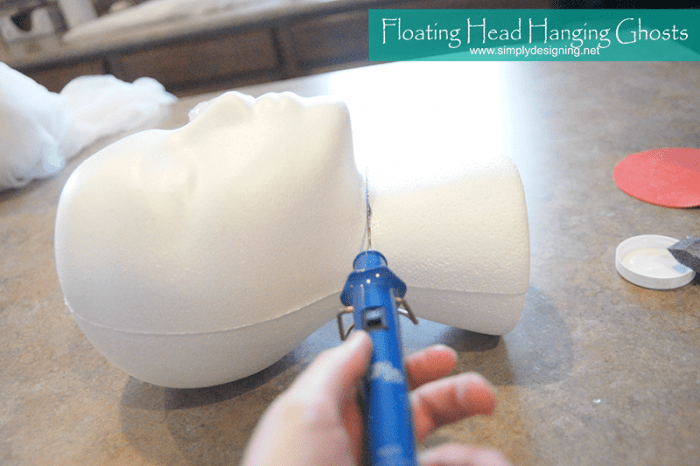 I grabbed my FloraCraft® StyroCutter Plus® so that I could trim the neck off of my foam heads. If you haven’t used a StyroCutter Plus® I highly recommend picking one up! It is worth every penny! I have spent years cutting foam with a kitchen knife. No doubt I have ruined countless knives, but I have also created the worst foam messes ever. With the StyroCutter Plus® the hot wand slices through the foam so easily! It is amazing! And it seals the edges so there is no foam mess. It is the coolest thing ever! I started by giving my foam head a little nip tuck and trimmed off the neck. 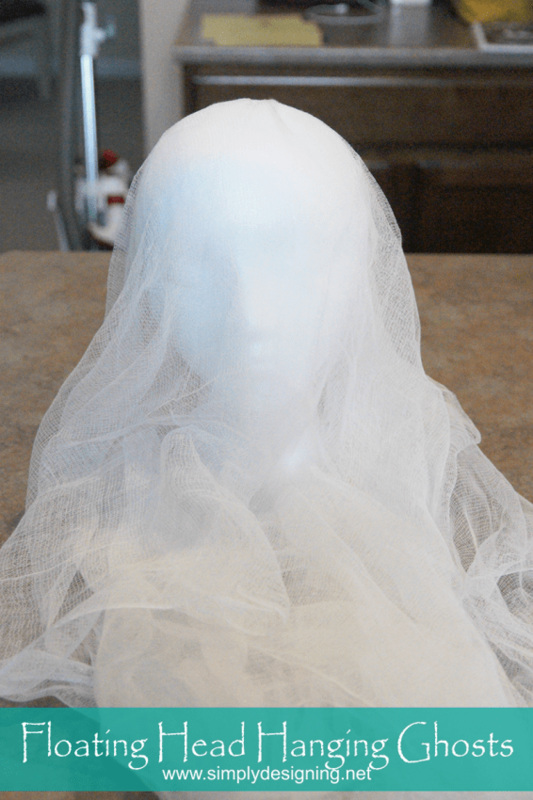 I threw the neck away and draped two layers of cheesecloth over the head. 3. I wanted the face to show a little more and be a little more defined so I used a little Mod Podge to adhere the cheesecloth to the face portion of the head. 4. After the ghosts were dry, I used E600 glue to adhere an eyelet screw into the top of the ghost head and then I attached a piece of fishing line into the eyelet. These were really so simple to make! They hardly took any time at all. And I think they turned out really creepy and perfect for Halloween! 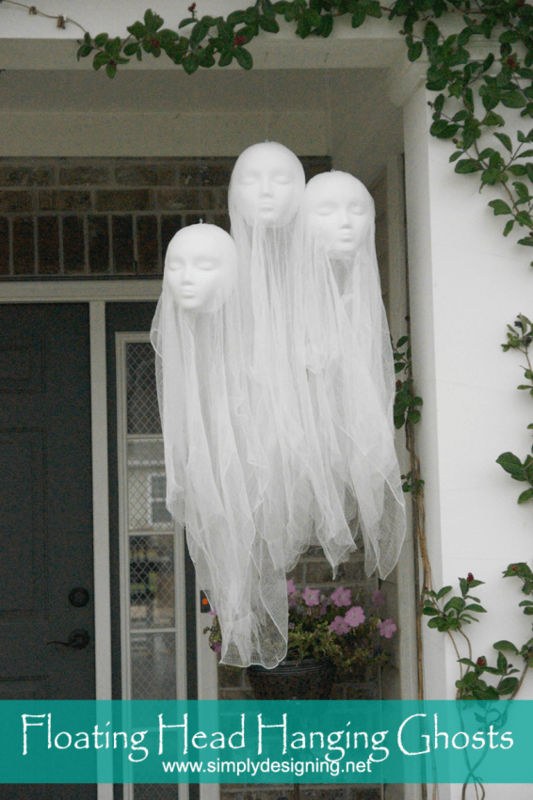 Seriously these floating head hanging ghosts are so much fun!! I can’t wait to decorate for Halloween now! 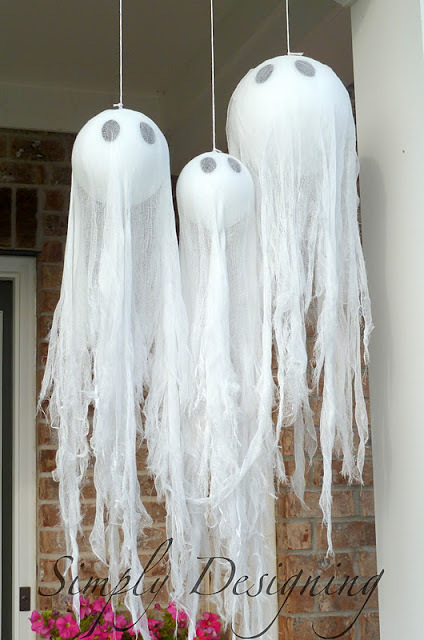 If you like these ghosts but want a slightly less creepy version, check out my Pottery Barn Knock-Off Hanging Ghosts I made a few years ago. I love these ghost heads. 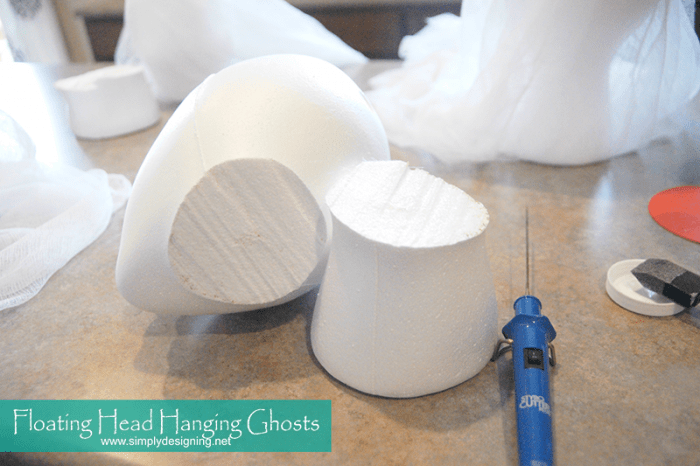 I just loved your ghost heads and want to try them this year. Previously I have snapped green glow sticks and dropped them in round, white balloons; inflated the balloons; drew eyes on them with a black marker; draped them in cheese cloth with help from glue and hung them. Quite effective! Thank you for sharing! I love looking at all sorts of creative ideas that other people come up with. I definitely think these are creepy in the cute sort of way 😛 Perfect for Halloween! LOVE the creepy ghosts you made!! !…where would I find the heads for this project? Thanks. Thanks Sharon! 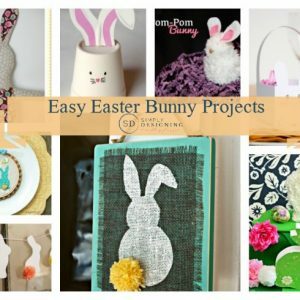 I have seen these sold in several craft stores! Thanks so much……guess I have to go shopping!!!! Totally creepy, in an awesome way! Love the photo of you “chopping” off the head! These make me think of phantom brides, and are so perfect for Halloween. Thank you! creepy, but good. it amused me the way you just sawed off their necks, that was creepy, too. I think it will look better if you beat up the face a bit to make it more gnarly. Oh thanks so much Steph! 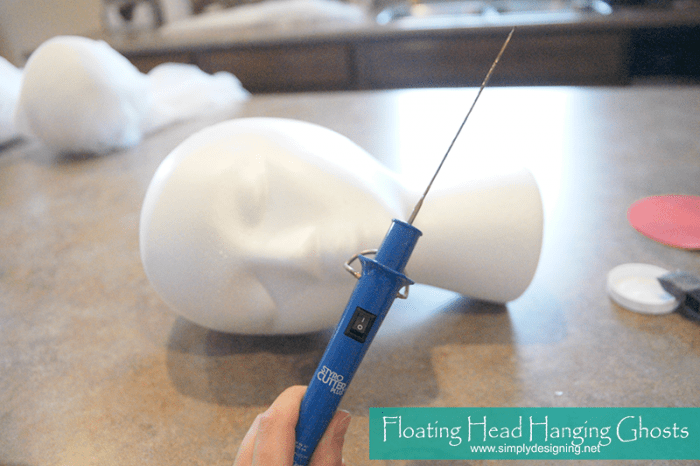 I’m looking for the FloraCraft foam heads but their website doesn’t have them. Can you tell me where to get them? I’m trying to find the FloraCraft foam heads. Went to their website but they are not on there. Can you tell me where to find them? oops sorry didn’t know it posted the first time. What an awesome idea, just the right amount of creepy! I’m totally pinning these! 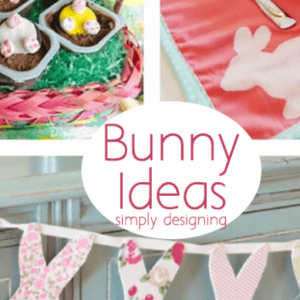 Thanks so much for linking up with Creativity Unleashed! Oh thank you so much Jacque!! 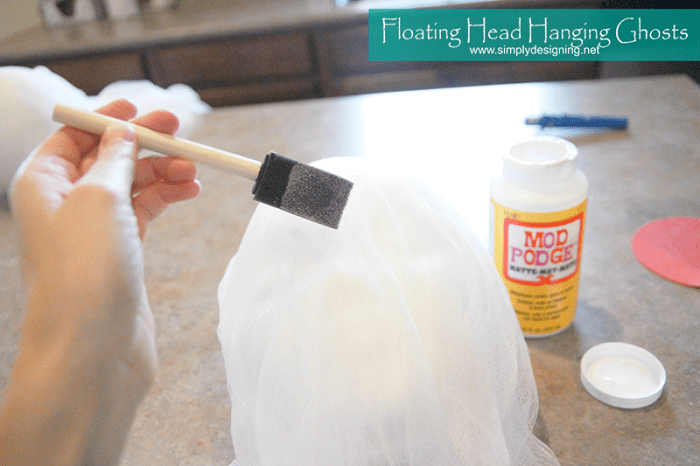 Did you use mod podge underneath the cloth or on top? Pretty cool looking ghost heads!I agree that female head look more like aliens. I have a few of those and might make them too! Oh thank you!! And thanks for stopping by! Oh how fun! I bet they will turn out great Debora!! Thanks for stopping by! I found the heads at a beauty supply store AND they were on sale!!! I am not sure how tacky glue would dry. But it might work! Glow in the dark fabric would be so fun! i just made these and they were super easy. They look awesome too. My problem is that I think I used too small of eyelets because even with the e6000 they keep slipping out. Any advice? Hmmm…you could try a larger eyelet. Or more E6000. E6000 takes about 24 hours I believe to fully dry. So be sure to just let it sit untouched until it is fully set! Good luck! For some reason the E6000 ate through my foam head. Any ideas why? Oh my! I have not encountered that. You could use a low temp hot glue gun instead. How big is the cheesecloth per head? I’m going over the eyes of my heads with glow in the dark paint. I’m hoping it’ll make them a little creepier. 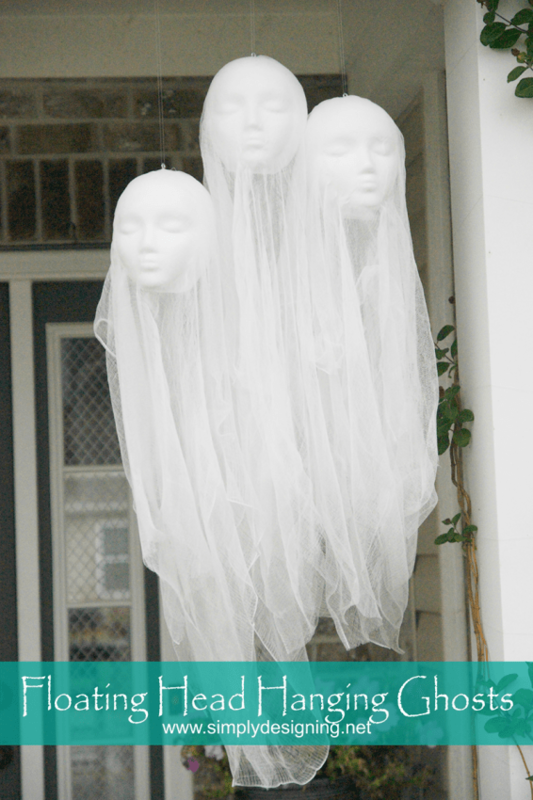 I love those floating heads covered with cheesecloth. I’ve already placed an order from Amazon! 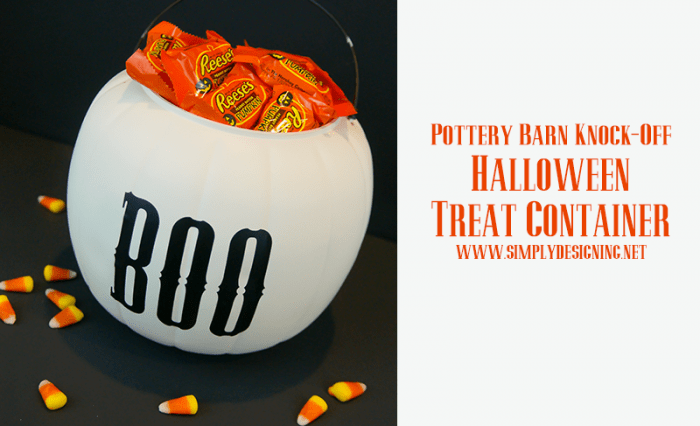 Thanks so much for sharing so many clever Halloween ideas. Kids love things like this – they’re eerie but not over the top – shouldn’t scare the little ones too bad! Halloween has always been my granddaughter’s favorite “holiday.” It’s the candy! How great do these look! Super creepy. Thanks for sharing! Love these ghosts! I am going to go get supplies and them to my decor this year! so excited! I was thinking(at first glance of your cut off styrofoam necks) they would make great Mushroom stems! Now I just need to come up with some spooky MushroomTops! Any ideas for that would be helpful! Thanks for sharing your creativity!